Pestisides Manufacturer and suppliers in Gujarat, Maharashtra, Andhra Pradesh, India. Email : acmchemicals@rediffmail.com, acmchemicals@gmail.com Web : .. Phone : 0731-2552666 Fax : ..
Email : drvh_drvh@yahoo.co.in, trishulsales@gmail.com Web : .. Contact Person : .. Mobile : ..
Email : .. Web : .. 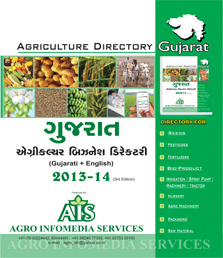 Phone : 0253-2514044, 2514045 Fax : ..
Agro info media is prominent company of agriculture directory in India. You can find here all details and list of Pestisides companies they are suppliers of Pestisides, manufacturer of Pestisides, dealers of Pestisides in Gujarat, maharashtra, AndhraPradesh, India. Agro info media is free listing directory portal for Pestisides suppliers, Pestisides manufacturer, Pestisides companies in Gujarat, Maharashtra, India. You can also take your listing for paid advertisement in our next Directory edition for Gujarat, Maharashtra, Andhra Pradesh, India.